To enable the Power-Up, open the board menu on the right side of the page, select the Power-Ups menu option, and then click the "enable" button next to the Package Tracker Power-Up. The Power-Up can be accessed from the back of the card by clicking the "Track Package" button in the Power-Up section. 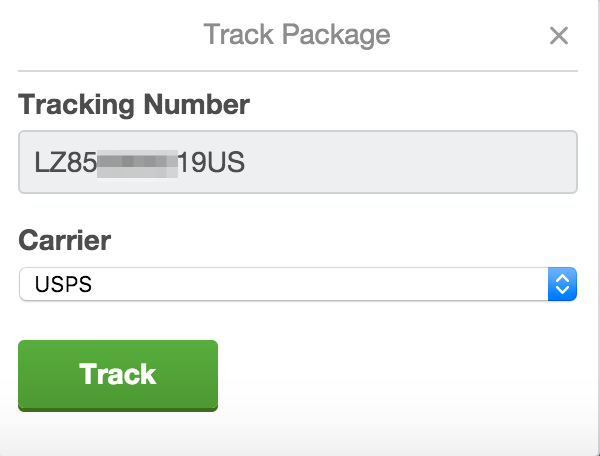 Fill in your tracking number and select the carrier and click "Track". 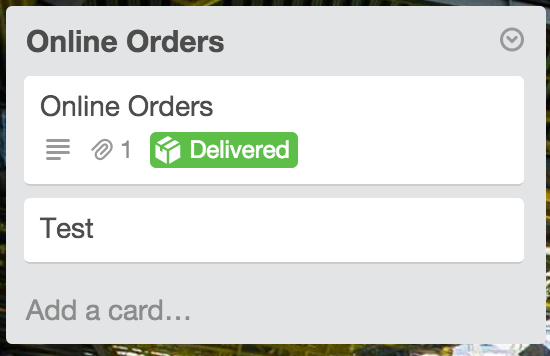 To remove a shipment from a card, click "Remove..." in the top right corner of the relevant shipment on the back of the card. 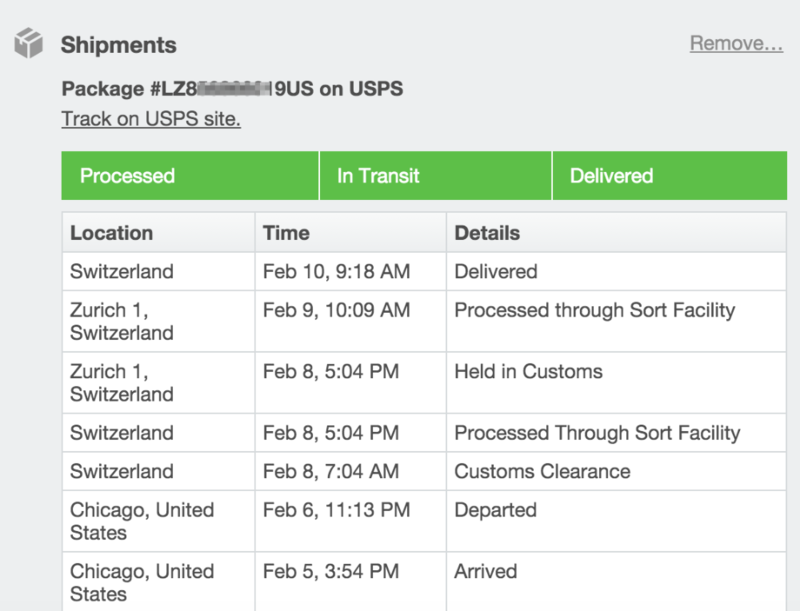 To disable the Package Tracker Power-Up, open the board menu and select "Power-Ups". Click on the gear next to the Tracker Power-Up, and then click "Disable" to remove it from the board.